U.S. Customs and Border Protection announced Wednesday that it had apprehended more than 100,000 people, many children and parents, illegally crossing the border in March. In total, CBP apprehended 103,492 people, 92,000 of whom were stopped trying to cross between ports of entry by the U.S. Border Patrol. 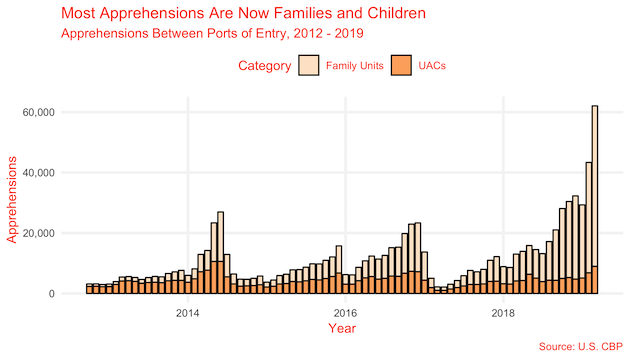 Sixty-six thousand of the apprehended individuals—64.5 percent of the total—were either unaccompanied children (UACs) or members of families traveling together (each individual is referred to as a "family unit"). March apprehensions represent a 77 percent increase over February, and are in fact the most single-month apprehensions in at least the past ten years. They easily surpass the surge of UACs that qualified as a crisis in 2014. This perhaps explains why Jeh Johson, who served as Secretary of Homeland Security under then-President Barack Obama, said during a Thursday appearance on Fox & Friends that the current situation was a "crisis by any measure." "I think we have to get away from Democrat vs. Republican, crisis vs. no crisis. This is a crisis by any measure, and the solution inevitably is bipartisan. It has to be bipartisan. It requires a change in law," Johnson said. 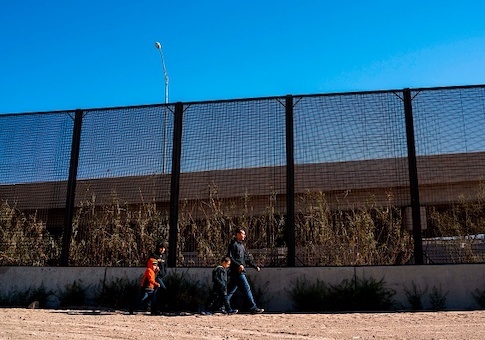 Briefing the press Wednesday, CBP officials said that the United States is facing an "unprecedented humanitarian and border security crisis along our Southwest border." "We're seeing record numbers of apprehensions, large groups and high numbers in custody. And we've arrived at the breaking point," said USBP Chief of Operations Brian Hastings. 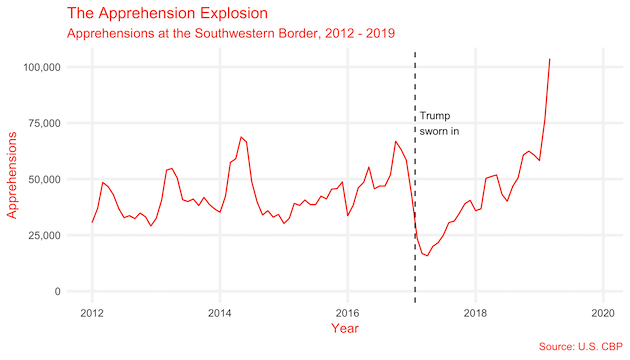 Although total apprehensions in March remain below counts from the early 2000s, the shifting composition of who is attempting to illegally immigrate is what renders the situation a humanitarian crisis. Whereas historically most illegal immigrants to the United States have been lone Mexican men looking for work, the current population is predominantly large groups of families—sometimes more than 100 at once—arriving from the so-called northern triangle countries of Honduras, Guatemala, and El Salvador. The explosion of family immigration poses a unique challenge for the Department of Homeland Security. The immigration system is designed under the assumption that the majority of illegal entrants will be Mexican adults, who can be quickly deported back to Mexico. But current federal law and standing interpretation of a 1997 court agreement afford certain rights to children and arrivals from non-contiguous (i.e. non-Mexican) countries, meaning that they cannot be quickly deported, especially if they claim asylum, and are often instead released into the interior rather than being detained. The consequence of this unintentionally lenient design, according to Hastings, is a flood of families leaving their Central American homes to seek a better life in the United States. "As more and more adults with children are released into the US pending their immigration proceedings, word of mouth and social media have spread news and more immigrants are emboldened to make the dangerous journey," he said. To respond to the ever-growing wave, CBP has been forced to surge additional border patrol agents. Hastings estimated Wednesday that approximately 40 percent of CBP agents on the southwestern border are dealing with providing care and transport to the new arrivals. This means fewer and fewer boots on the ground to combat the influx of drugs that also crosses into the United States on a regular basis. President Donald Trump for his part continues to consider aggressive action in response to the steady increase in illegal immigration. Late last month, Trump promised to withdraw aid from the northern triangle countries, and also reupped the idea of closing the border with Mexico completely. This entry was posted in Issues and tagged Immigration. Bookmark the permalink.